It is common these days to hear about people who owe more on their house or real estate investment than it is currently worth. This is known as negative equity. A property management company in Atlanta can help determine the right course of action if you find yourself struggling to pay your mortgage and dealing with negative equity. Continue reading to find out more about tackling this issue. When this situation arises, there are loan programs that may help. If you are able to renegotiate your loan, a lower interest rate may make it possible to catch up on your mortgage payments and avoid foreclosure. 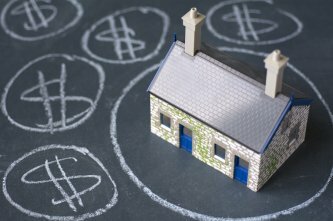 Some loan options to check out if you find yourself with an upside down mortgage are the Freddie Mac Relief Refinance Mortgage, the Fannie Mae Refi Plus, and the FHA Insured No Appraisal Streamline Refi. Another choice that some homeowners consider is to return the deed to the lender in lieu of foreclosure. If renegotiating your loan is not an option, you may decide to rent out your home with help from a rental management company. If you are unable to do this, however, you might want to consider contacting a short sale real estate agent.